Aurora, CO (July 6, 2011) – The Arabian Horse Foundation has announced $12,500 in equine research funding for 2011. The announcement follows a previous allocation of $13,500 to youth scholarships for this year. The latest round of funding brings the total given by the Foundation in the last four years to over $100,000. Of the $12,500 in awards, $4,000 will go to the Cerebellar Abiotrophy (CA) research being conducted by Dr. Cecilia Penedo at UC Davis. The Foundation has contributed previously to this research. Another $3,000 will go to help support a project request from the Morris Animal Foundation to study melanoma susceptibility in gray horses. In addition, the Foundation is directing $3,000 to Dr. Babak Faramarzi at Western University for the study of equine hoof interactions with the ground surface and the impact of trimming and hoof conformation. The fourth award of $2,500 supplements previous funding to Dr. Samantha Brooks of Cornell University, to continue research on Equine Metabolic Syndrome and Cushing’s Disease in the Arabian horse. In addition to Minnich, the Equine Research Advisory Panel is made up of Dr. Ray Cerniga, Dr. Tim Fleck, and Dr. Cory Soltau. “The Research Advisory Panel received four very strong proposals for consideration,” Minnich explained in her request to the Foundation Board. “The recommendations from the Panel were strong and well explained,” Kinneer said. “Each is truly deserving of the funding we have allocated.” He noted that the contribution for melanoma research is the first collaboration with the Morris Animal Foundation. 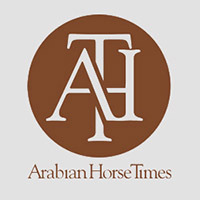 “Not only does funding support for this project expand our research portfolio for projects studying health issues affecting Arabian horses, it also provides an opportunity for increased exposure for the Foundation within the equine research community,” says Minnich. Last year, the Foundation gave $2,500 to UC Davis for Dr. Penedo to continue her research into CA. The new $4,000 award will support the continuing efforts to further study the recently identified mutation that is associated with the disorder. CA is a degenerative condition of the brain that is caused by the death of neurons called Purkinje cells, resulting in a severe lack of coordination; CA affected horses are often euthanized. Evidence indicates that CA is widespread in the Arabian breed. The $2,500 to Cornell researchers is the same amount that was given to the university last year and continues the research into Equine Metabolic Syndrome (EMS) and Cushing’s Disease. A frequent complication of EMS, also known as insulin resistance, is laminitis which is one of the most common causes of lameness and death in horses. 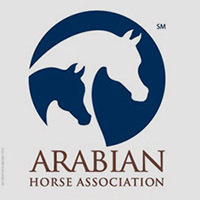 The Arabian Horse Foundation, which is the philanthropic arm of the Arabian Horse Association, was re launched at the 2007 AHA Annual Convention. The Foundation supports three funding areas: Youth Scholarships, Equine Research, and Rescue and Rehoming. Rescue and Rehoming grants will be announced later. The $13,500 in scholarships went to 18 youth who are members of the Arabian Horse Association. A major factor in the Foundation’s gift giving for research this year, Kinneer noted, “was the gift of $50,000 earlier this year from the Barbara Wright Hutton Trust.” The gift, which was designated for equine research, and rescue and rehoming, remains the largest single gift to the Foundation. 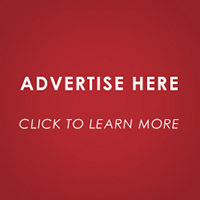 Those wishing to contribute to the Foundation can do so by sending a donation to the Foundation at the AHA offices in Aurora, or by making a donation online through PayPal. Donors can designate where they want their funds used. “We continue to see members using the donation check box on the membership form when they join or renew their membership,” Kinneer said. “The Foundation board is appreciative of the support from our membership. Each gift, no matter the amount, is important,” he added. Other members of the Board are: Lollie Ames, Jim Cada, Nancy Harvey, Frank Galovic and Terry Johnson. For more information and to learn more about the progress of the Foundation, visit the web site at www.arabianhorsefoundation.org.